Gee, I don't know what to think about this. Akira you'll want to see this. I saw carnage6 talking about this figure on youtube last night. I think Goshin owns some FAPs, but I can't remember her member name on here so I can't tag her. Adrenaline and gqkrillin may have some interest in this too. So let's go through this with some story. 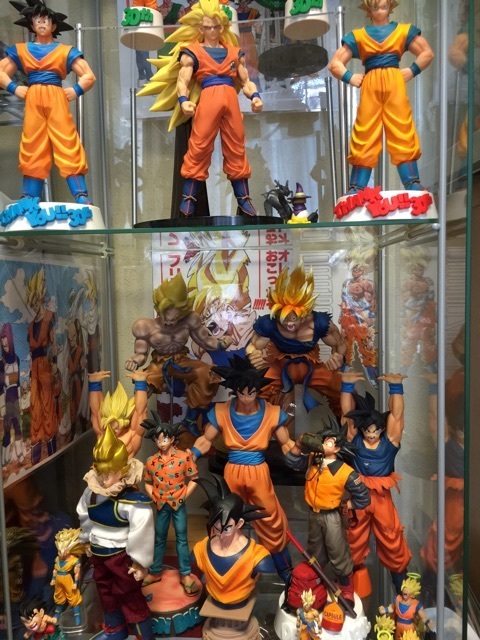 I've been collecting since 1998, and collecting online since I joined the original Dragonballtoys.com message board in 2001. 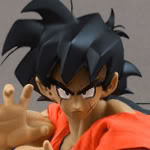 I've never seen this Yardrat Goku figure. We all thought it was a myth. 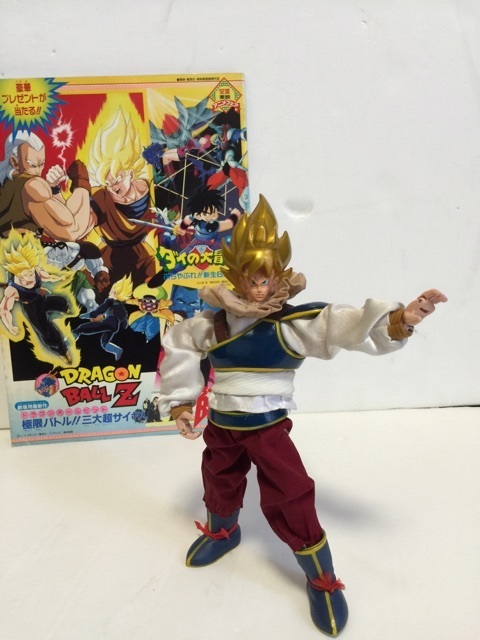 Back then, many people considered it a holy grail, because there weren't many DBZ figures to choose from and this one was highly unusual--Goku in a costume other than orange and blue. In 2002 or 2003, DBT member KKChung mailed me a bootleg FAP SS Goku he wanted me to make into a Yardrat Goku. This was unfortunate that he did this, because he didn't ask me ahead of time. I can't sew. So I had to mail the figure back and not do anything with it. The bootleg looked identical to the real figure as far as I know. I wasn't very fond of it. It was pretty ugly, just like this SS Yardrat Goku one. 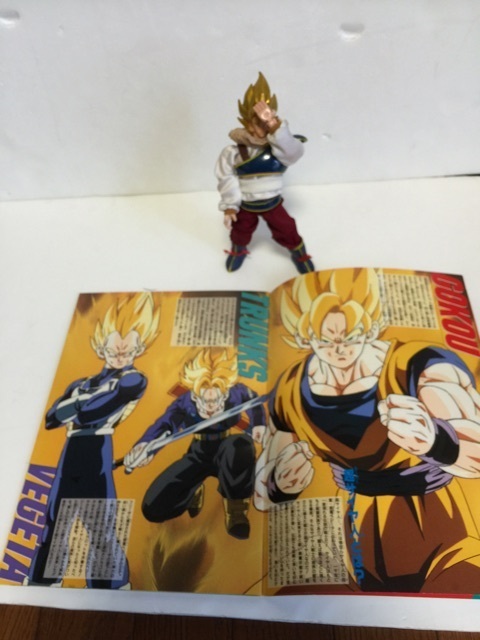 Anyway, I'm analyzing and comparing the pics of this figure to what was probably a prototype in the ad. First of all, the neck thing looks terrible, but I'm sure you all noticed that. The prototype has a lilac colored one and this figure has a khaki or taupe colored one. I think the one on the figure would look the shape of the one in the ad if they pulled it apart and styled it. Something I never thought of, is that the prototype has that weird wrinkly piece of white fabric beneath the armor, just like this figure does. The chest armor on this figure looks very good. Much smoother and "factory painted" looking than I would expect from someone trying to create a fake. The waist armor though has the yellow lines spaced out much further apart than the prototype. The wrist things on the prototype are much lighter brown than on this figure, this figure has peanut butter colored ones. The pants on this figure are much darker than the pants on the prototype. The boots seem to be the same as what the regular SS Goku has, but the laces are just frayed a bit. So is this real? Maybe. I have always said that this figure couldn't possibly be something that was 1 of 100, because we would have seen one come up for sale. Well, now we apparently have. Or have we? Is it possible that only a few were made? Less than 100? Is this one real or a fake? Note: ヤードラット is definitely how yardrat is spelled, because it is what is used on the advertisements. That's super awesome to see! is a magazine, and not the box. I wasn't sure until I looked at the other pic with it in it and it isn't thick enough to be a box. Do you guys think the figure is awesome or is it just the rarity? The rarity is the only good thing about it at this point in my opinion. It's not a great looking figure at all, but for a figure from the 1990s, it is pretty good. Yeah, it's pretty hideous. But, it's a legitimately rare item, so it's kinda interesting to actually see one. I think it's a good looking figure, if I were to see it on sale I'd probably jump on it. Given how rare it actually is. Branjita You are are correct. 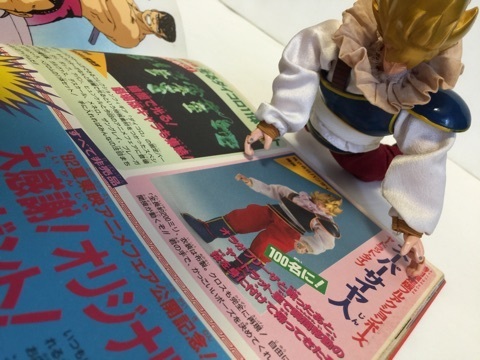 That is not a box in the photo, but a booklet/magazine for 1992 Summer Toei Anime Fair. 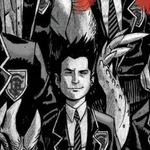 EDIT: Added direct links to the blog entries since the page numbers keep changing. Good find! I'll have to save these images when I'm home. So.. whats the consensus here? Real? I'm unsure what to think. It looks pretty legit to me, but I'm not exactly an expert on these older figures... or anything, really. Made it to page 63 while on my lunch break closedsearch.auctions.yahoo.co.jp/closedsearch?va=%E3%83%89%E3%83%A9%E3%82%B4%E3%83%B3%E3%83%9C%E3%83%BC%E3%83%AB&oq=&auccat=0&select=02&slider=0&ei=UTF-8&b=3101 which ends at 15000 yen ($149.39) and still haven't seen it, unless I scrolled by it or it lacked a picture. I'm very interested in this and appreciate everyone's input. As a (slightly) older collector I've been hearing about this figure for years and this is the most evidence I've seen to date. Very interesting stuff! Wow, just for novelty sake, and partially for nostalgia, I had to click on the link and check out the photos. It looks legitimate to me, as best as I can tell anyway. I never owned any FAP figures, but I did see a lot of pictures of them back when Bran and I were collecting around the turn of the century. 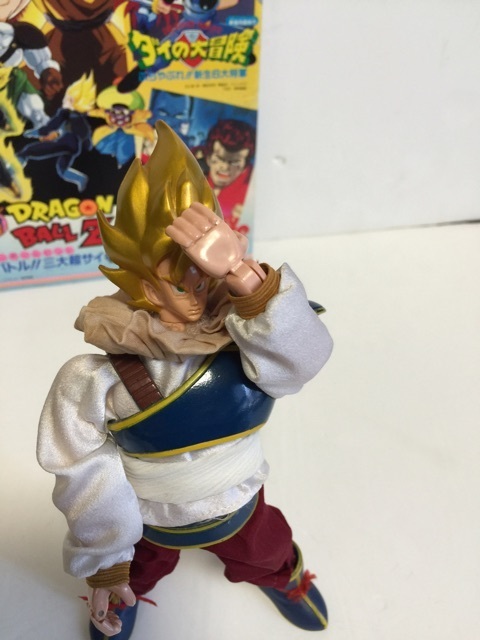 I never considered that Yardrat Goku to be any sort of Holy Grail or anything, but it was definitely one of the rarest figures if it did exist. Only 100 made, so ultra rare right from the get go. 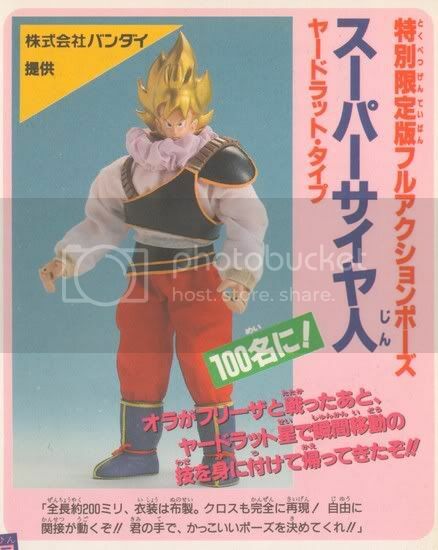 By the time Dragonball was catching on here, and we started collecting, it was already the late 1990's, and that figure was made when, 1992 or 3, right? I've seen so many comments, figure articles, and reviews over the years, and people always parroted that FAP Yardrat Goku as the rarest of rare bit. Yet, no one ever knew if it even truly existed, considering how many prototypes of various things have been shown and never materialized over the years. I never imagined anything would ever surface about it by this point in time, some twenty four years later. I also assumed that out of those limited 100 made, a bunch had to have fallen into the hands of kids who tore them up, not knowing what it was. I also assumed if anyone still had one, they had it safely squirreled away somewhere hidden and probably had no idea the notoriety the figure had among the western fanbase. It looks very similar the rare photos shown of the figure, my guess is that it is probably legitimate. If it is a fake of some sort, someone went to an awful lot of trouble to replicate what was shown in the pictures. Either way, it really isn't that desirable beyond the rarity factor, and none of us will ever have one and have to worry about the authenticity of it or not, so it doesn't really matter much. Despite that, it is really cool to see something surface at this late date. It is kinda cool that it possibly actually exists. Only differences I noticed was in the coloring of the neck of the shirt and the wrist cuffs of the shirt are slightly darker than the promotional image. Could be a difference between the prototype and limited production version, or it could be a clue that it is not real. We've nothing to compare it to, so it is just something that can't really be determined with absolute certainty. Only an original owner of one who got one from said event could tell us that for sure. What we need is someone who knows how to read and write Japanese to ask the guy for the link to the auction where he got it on Yahoo Japan. i tried to do a comparison between the prototype in the ad and the figure in the images sorry for my poor editing skills and i made a typo in the word scheme. some of the points were already brought up by branjita. I was 100% sure before that it wasn't produced until this information was given to me by an extremely reliable source. After I got it and posted the video I do believe it is real but I did sit on this information for many weeks before posting the video because I still had doubts. Sorry for the bother, but what video are you talking about? I didn't discover it but the person who did wanted me to be the one to post the information for people to see and finally put the debate to rest.